The celebration was four years in the planning and the aim was to invite all royal and certain other kindred golf clubs to a week of events - both golfing and social to take place both in and around Royal Blackheath between Sunday 5th July and Sunday 14th July. Prior to that week, certain other golfing events took place in recognition of the anniversary year. The Major Medal Winners Tournement on Saturday 17th May 2008. All past winners of the Club's five major medal competitions, Spring Medal,Summer Medal, Bombay Medal and George Glennie Medal, who where stil living and in touch with the club, were invited to attend this special tournament. This was a scratch event over 18 holes with dinner to follow in the clubhouse. Robert Long was the winner of the Major Medal Winner tournament. By an extraordinary twist of fate he had only qualified to enter by winning the Spring Medal, in a play-off some days earlier. Centenary Clubs Match, Friday 25th April 2008. Those UK clubs celebrating their centenary year in 2008 were invited to participate in a match against a Royal Blackheath team. A total of 20 clubs took part, coming from the UK and Ireland, plus one club from France. Kindred Clubs Tournament 12th & 13th July 2008. Royal Blackheath enjoys a particularly strong kinship with the Royal Burgess Golfing Society, the Royal Dublin Golf Club and the Glasgow Golf Club, each of which was invidted to send a 16 man team to compete in a two-day round robin tournament. The Club's first course consisted of just five holes on Blackheath itself, with three circuits ie. 15 holes constituting a round. The course was extended to seven holes in 1844. 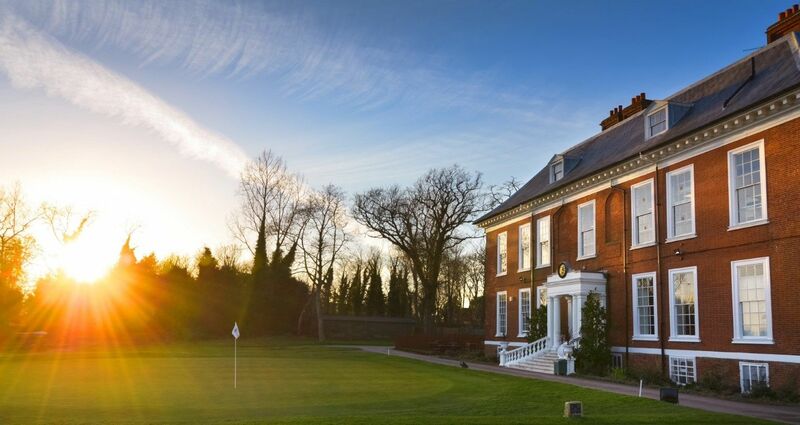 The club departed the Heath in 1923, merging with Eltham Golf Club some three miles away. Thus Sunday 5th July, 2008 saw members return to their original home formally for the first time in 85 years, to compete on a reconstruction of the original five- hole course. Approximately one hundred and twenty club members participated together with others from the professional world of golf such as Neil Coles & Bernard Gallacher. They were joined by others from the rugby fraternity,Zinzan Brooke,Ben Clarke, John Gallagher, Mickey Skinner and Peter Winterbottom.It was a truly historic occaision. The 400th Anniversary celebrations were initiated by a traditional flag-raising ceremony which took place at the club on the eveningSunday 5th July, 2008. The junior members of the club,proudly sporting 400th Anniversary shirts, performed the flag-raising.Representative of 56 clubs attended the 400th Anniversary celebrations. The Celebration Banquet at the Painted Hall, The Royal Navy Hospital, Greenwich. Friday 11th july 2008. In years gone by ,significant Club events would often be marked with a grand dinner in Greenwich, more often than not the Ship Hotel. So it was fitting that The Blackheath Goffers of 2008, accompanied by many honoured guests, should return to greenwhich for the grand finale to their 400th Anniversary celebrations. A wistful contemplative, but above all immensely joyous evening it will not readily be forgotten by any of the 465 individuals fortunate enough to have attended. In the years to come, we will surely say " I was there."